National Research Nuclear University MEPhI among 11 Russian universities enters the 2019 edition of the QS Graduate Employability Rankings released by the Quacquarelli Symonds (QS) company. MEPhI enters the 301st-500th classification. At the same time, according to the «graduate employment rate» indicator, MEPhI enters the TOP 100 of the world's top universities, taking 57th place (in 2017 – 74th place). To compile the rankings, QS used five indicators - employer reputation (30% of the final score), alumni outcomes (25%), partnerships with employers per faculty (25%), employer-student connections (10%) and graduate employment rate (10%). 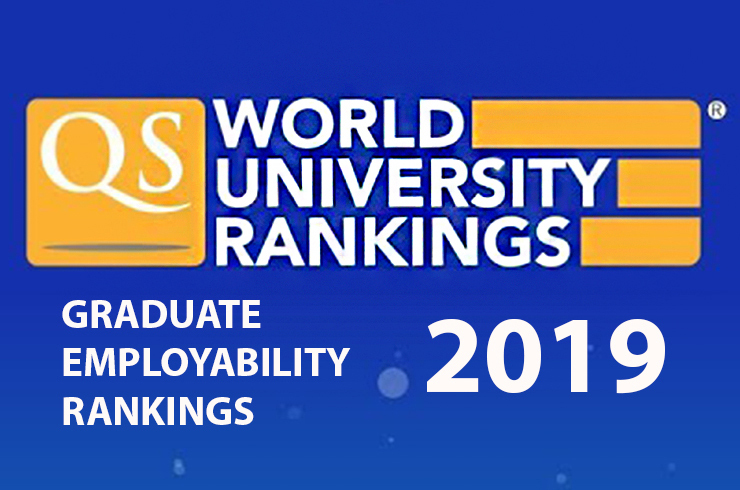 The creators of the ranking emphasize that the purpose of their research was not only to calculate what percentage of graduates of a certain university would find a job after completing the education, but also to see how successful their career would be. "We’re not just measuring whether a university will help a student to find a job. We’re also measuring whether universities can nurture students who go on to become leaders in their field," QS Research Director Ben Sowter said, commenting on the rankings. He mentioned that to ensure further improvements, Russian universities should seek to continue offering students the chance to meet employers on campus, and to create research collaborations with innovative companies.